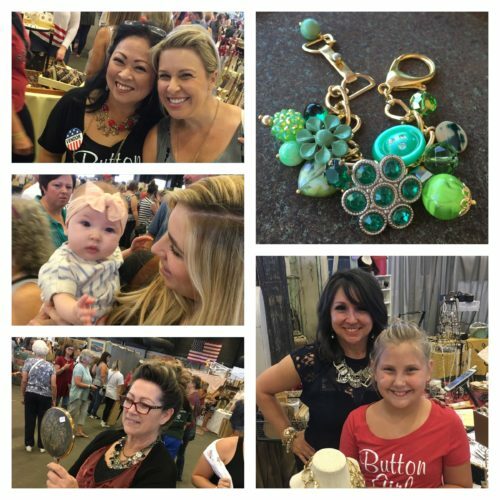 2016 was a very good year for Ruby Mae Jewelry *Ruby Mae was featured in two national magazines – Phoenix Home & Garden & Country Living. 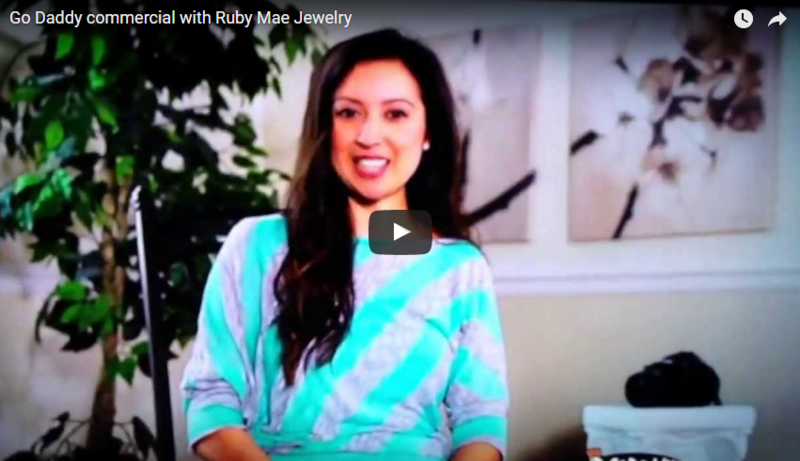 *The Ruby Mae button launched *Bridal Bouquet Charms & Hole In My Heart product lines expanded *This new trailer hit the road *Ruby Mae was featured on the news a few times. * 57 women . 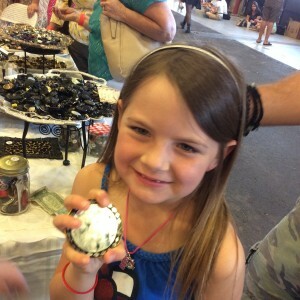 Another wonderful show at the Junk In The Trunk Vintage Market this past weekend. Friday morning I was interviewed by Jessica from Channel 3 and we chatted about my $1 Button Make and Take as well as some of my vintage button bracelets. For Channel 3 Interview, Click this link … img_5447-mov-1 With Jessica & JITT co creator Coley Arnold Setting up Thursday . 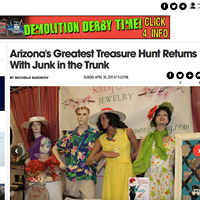 Last Saturday we had record breaking numbers attend the Junk In The Trunk Vintage Market at WestWorld. VIP’s entered at 7:30am followed by early entry for $10 at 8am and general admission at 10am. There was live music & yummy food trucks. The atmoshere was electric. I’m guessing 10K people attended. If your coming to the May 2nd show . My client Kay has figured out a way to save herself time & money. Kay prefers to give a sentimental gift for those in her social circle and rather then driving to Kohls or Target, shopping for an hour or scooping up a gift card, Kay simply calls me & tells me 3-5 things her recipient is interested in & . Fun News!!! 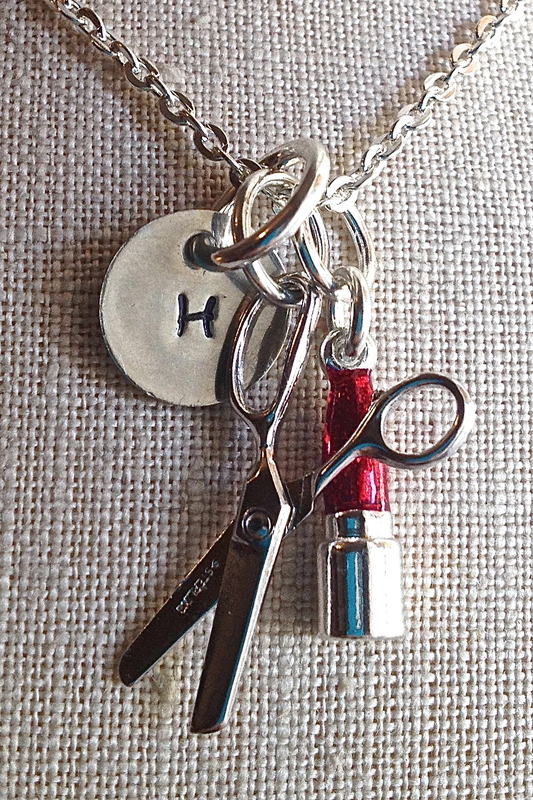 We are now offering personalized charms. 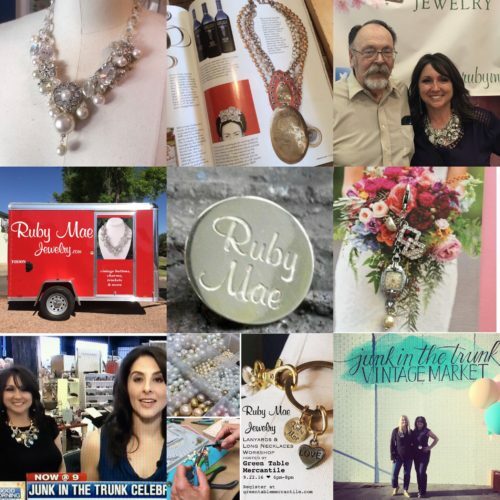 My fantastic Dad, known to all as Jake, has taken on this new branch of Ruby Mae Jewelry. 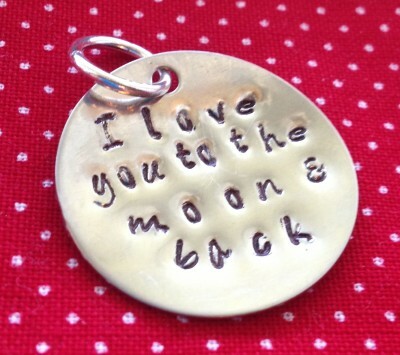 He likes making these charms & I love that we can offer them. The possibilities are endless. Graduation, christening, bridal, holiday, initials & numbers, children’s names …the list goes on & on. Wouldn’t it be fun to . I rely on my photography to tell the story of my jewelry. 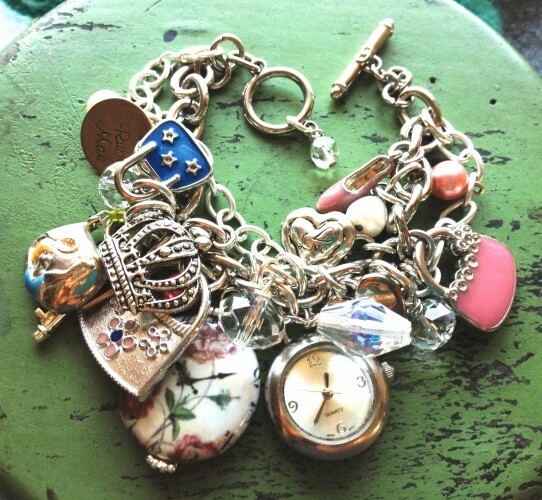 Extreme close ups show off the tiny treasures I attach to each piece. You might be shocked to learn I’ve used my iPhone 4 to shoot 90% of my pics. Maybe you won’t be. For me it was all about convenience. I could shoot the pic & . “Twitter puts your face & business in front of infuential people who would never see you otherwise”. This is the sage advice from my social media director Bev Lefebvre of One Less Hat and I’ve taken it to heart. Plus, it’s free advertising & networking. It helps if you have a smart phone so you can post on the fly. I use . In June Dad & I were featured on the Fox10 Morning Show with Kristen Anderson. It was a great experience & I only choked up once. Whew! Next time I’ll sit more lady like but for the most part I’m really happy with it. The bummer is that I didn’t download it to a dvd & it’s no longer available for viewing. Crikey, .